During September this year, Shi Jie Sophie travelled to Crete to visit with her Shi Xiong Giorgos. 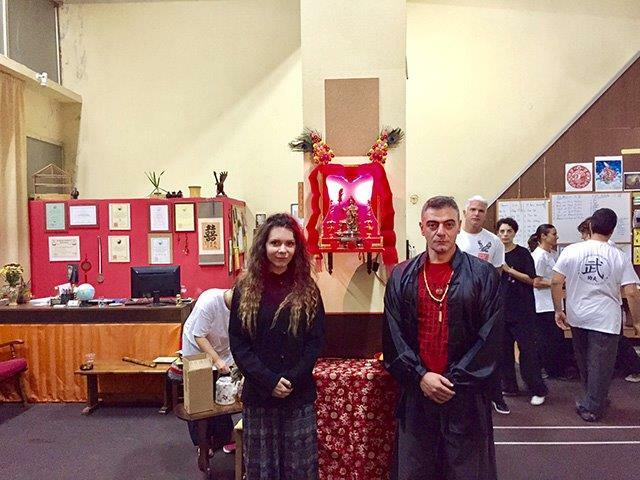 Shi Jie Sophie was asked by ShiFu Dale to act in his position: as one of the only few officially recognised members of our Wu Guan who can represent ShiFu Dale in all matters concerning our school; she was gifted the amazing and honoured opportunity to build and awaken the Guan Gong (Guan Yue – Patron Saint of Chinese Martial Arts) altar of our branch in Crete. On the 28th September, Sophie led the ceremony along with her Shi Xiong and her Shi Di Aggela Chersoniotaki, with the students of the Wu Guan (school) present to be amongst the incredible experience. 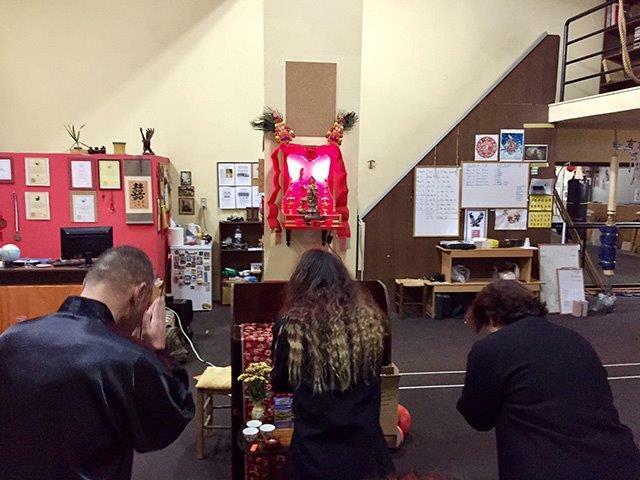 After the Guan Gong altar was awakened and Bai San (respect to the ancestors), the feeling of energy and unity within our family was wholesome, true and pure. Kung Fu Yi Jia Ren (One Family) shared a truly heartfelt moment filled of love and joy, showing the real meaning of what it’s like to be a part of their ShiFu’s Eagle Claw family. The love of our family stems deep within our hearts, with upmost respect and compassion to all members of our family and most importantly our dear ShiFu, who continuously shows his gracious, kind and caring heart to all. 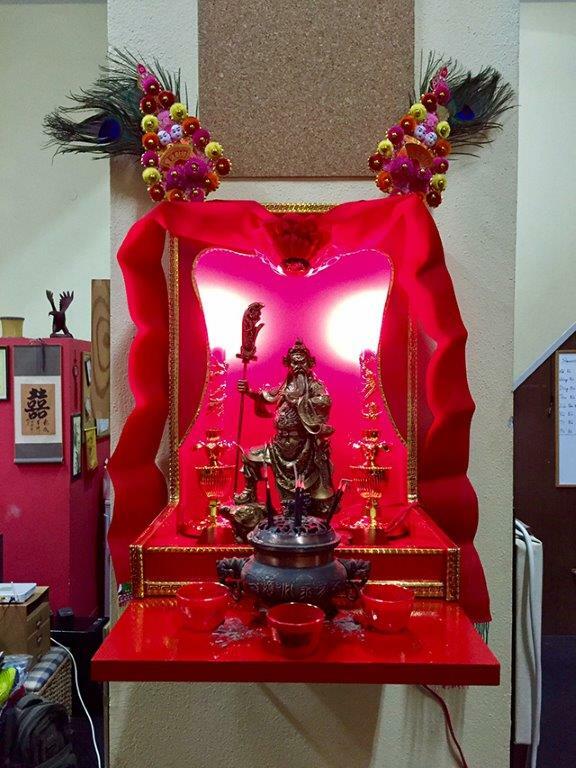 ShiFu Dale – There are very few who understand my heart and mind concerning the journey and path of our eagle claw martial arts system, the vision of the school and our martial family that I have. Only those who truly share the same conviction and vision can act in my place. Absolute trust and faith in those that represent me and stand by my side are those that I give the authority to be my voice. They will always be known as they are the ones who are always with me, as I am always with them in Xin & Yi (heart and mind). Shi Jie Sophie-Marie Glover and Shi Xiong Giorgos Tzanodaskalakis.